A 21-year-old man was arrested for insulting the modesty of a woman at the Singapore Institute of Management (SIM) on Saturday (July 21). Stomp understands that the man had allegedly recorded a video of a woman who was in the cubicle of a ladies' toilet at SIM's campus. 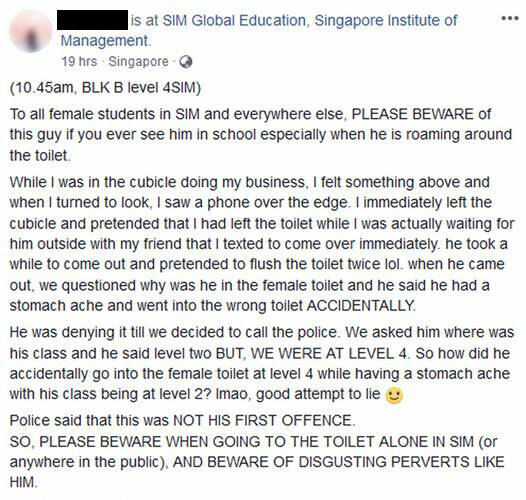 An SIM student posted an account of what happened to her on her Facebook page as a warning to her fellow female students. 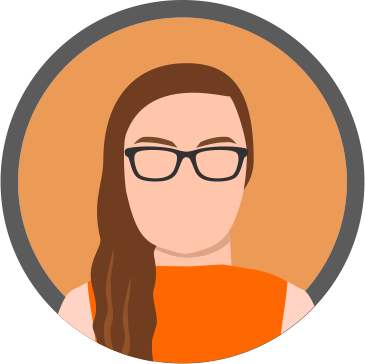 She wrote that she was in a cubicle in a ladies' toilet on the fourth floor of the campus when she saw a guy holding a phone above her. "I immediately left the cubicle and pretended that I had left the toilet while I was actually waiting for him outside with my friend that I texted to come over immediately," she wrote. "He took a while to come out and pretended to flush the toilet twice. " The student said that she confronted the man and asked why he was in the female toilet. "He said he had a stomachache and went into the wrong toilet ACCIDENTALLY," she said. She added that when she asked him where his class was he said it was on the second floor. "So how did he accidentally go into the female toilet at level 4 while having a stomachache with his class being at level 2?" she wrote. "Lmao, good attempt to lie." In her, post she said that she and her friend called the police after confronting the man. In response to Stomp's media queries, a police spokesman said that they were alerted to the case at 10.58am. "A 21-year-old man was arrested in relation to the case," the spokesman said. A similar incident happened in March this year when a 21-year-old man was arrested after a pinhole camera was found in a handicapped toilet in Nanyang Technological University (NTU).